Food is a remarkable thing. It nourishes the body, yes, but it also nourishes the spirit. It allows us to experience some of life’s simplest pleasures while simultaneously healing ourselves from within, and gives us the opportunity to sit down with friends, family, or virtual strangers to share something essential and powerful. And this is perhaps never truer than during the recovery process, a time when we are at our most vulnerable and our most depleted physically, emotionally, and spiritually. 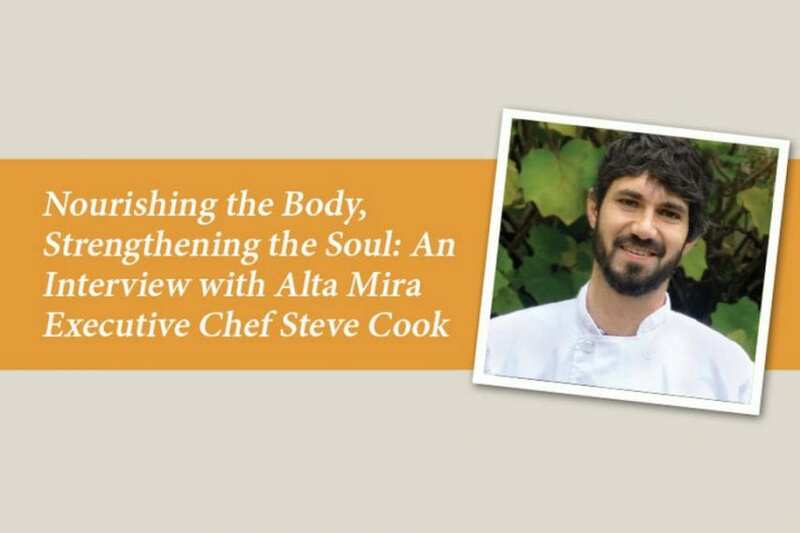 Stephen Cook, Executive Chef at Alta Mira, is passionate about food and its ability to heal. “Food and sharing food with others holds power, it creates comfort,” he says. “Conversations and open sharing are a constant at the dinner table.” And he should know; a graduate of the California School of Culinary Arts, Le Cordon Bleu Pasadena, he spent his early career working in top restaurants across Southern California before joining Alta Mira in 2013. Today, he uses his finely honed culinary skills to create gourmet menus that nourish our clients throughout their stays. In this interview, Steve shares his insights about Alta Mira’s gourmet dining, and how his team supports the recovery process. Since its inception, Alta Mira has been committed to providing the highest quality of care for those struggling with addiction. This commitment is evident throughout our program, from the renowned addiction specialists who populate our staff to the state-of-the-art treatment modalities we offer. But our dedication doesn’t end with clinical care; rather, we seek to create truly holistic treatment experiences that nurture our clients, mind, body, and spirit to promote optimal healing. And that begins with the most basic of elements: food. By providing healthy, delicious food options, we empower our clients to make good choices that will fortify their recovery processes. 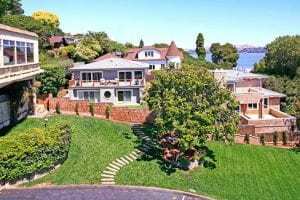 In a beautiful dining room overlooking the San Francisco Bay, Steve’s team serves three buffet-style meals a day. And these aren’t just any meals; both the kind and quality of all the food at Alta Mira is thoughtfully chosen for both taste and nutrition while also being mindful of environmental impact. “Everything we do is absolutely from scratch,” he tells me. I don’t bring anything in frozen. We try to stay as local as possible, which is a benefit we have because of where we’re located. We use as much organic seasonal product as possible. All our seafood is sustainable and approved by the Monterey Bay Aquarium. Everything is fresh. Light and healthy, however, doesn’t mean bland and tasteless; Steve’s menus are varied, imaginative, and delicious. Breakfast might include such variety as bacon, tomato, and avocado Eggs Benedict, scrambled eggs with spinach, chicken apple sausage and turkey bacon, super green protein smoothies, steel cut oatmeal, served with fresh squeezed orange juice, along with an array of fresh seasonal fruit. Lunch might have a Mediterranean/Indian theme complete with cucumber yogurt salad, naan bread, chicken tikka masala, and vegetable lentil salad, while a typical dinner might feature locally sourced dill seared salmon, slow braised beef short ribs, polenta cakes with tomato chutney, roasted Romanesco and grilled asparagus. It’s no wonder that the food is widely regarded by clients as one of their favorite parts of treatment. 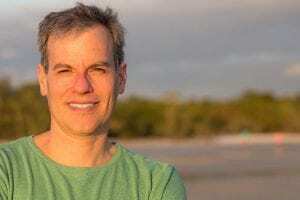 While Steve has developed a diverse and well-received menu rotation, he also knows that everyone comes into treatment with their own unique preferences and dietary needs. That’s why he meets with each client within the first few days of arrival to discuss any food allergies, restrictions, or dietary challenges. He also receives communication from the medical team to alert him to any potential issues. With this information in hand, Steve can tailor his menus to make sure there is something safe and appealing for everyone. It’s a little bit of camaraderie. Clients know they’re all struggling and going through all these things, all in different stages of their lives. It’s interesting to see some of our younger population interacting with the older population, sharing their experiences of what they’re going through and what they have been through around the dinner table. As it does in cultures throughout the world, dining becomes a point of connection and a facilitator of social experience for clients, helping them find common ground and providing invaluable pathways for giving and receiving support. During holidays, Steve uses his culinary expertise to create opportunities for celebration, giving clients a sense of occasion and a chance to enjoy themselves both with their peers and their families. “We’ll do the traditional, full-on Thanksgiving or Christmas meal. Last year we did crab legs for New Years, and then for the 4th of July we did a dessert buffet.” Clients and staff gathered on the balcony to watch the fireworks over the bay, desserts in hand. That little bit of levity and reprieve from the hard work of treatment can go a long way toward enlivening the spirit. Steve’s gifts are undeniable, and his enthusiasm for great food is mirrored throughout his team of three cooks, who are known for continuously asking clients for feedback and taking up their suggestions to create better, tastier dining experiences. “We take a lot of pride in what we do and what we produce. We go out of our way to make sure our clients are happy,” he says. But for Steve, cooking at Alta Mira takes on special significance. When I was younger—16-18—I went to a residential adolescent treatment facility myself. It was a different kind of experience than what it is here, that’s for sure. It was in Utah and I was there for two years. It was pretty much lock and key and the food was terrible. I hated it. And it was depressing, you know, because there wasn’t much to look forward to. Afterward, Steve found a passion in cooking that gave him purpose and allowed his true talents to shine through. “I just find that with food and cooking—you can truly express yourself. And it’s a gift. A well-cooked, delicious, and healthy meal—that can be an ultimate expression of love.” That is what he shares now at Alta Mira; the gift of his talent, his compassion, and his ability to make each client’s recovery journey a little bit easier, a little bit more pleasurable, and definitely more delicious. Alta Mira offers a comprehensive suite of treatment programs for people struggling with addiction. Contact us to learn more about our innovative approach to recovery and how we can help you or your loved one start on the path to sustainable healing.